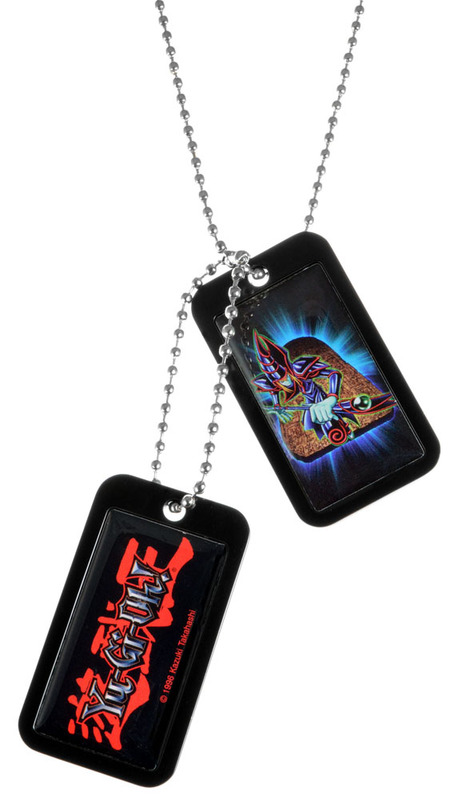 The two black plates measure about 1×2″ each and feature Dark Magician trading card art and the Yu-Gi-Oh! logo. They hang from a 27-inch ball chain that’s easy to slip on over your head.